On Monday, Gov. Chris Christie responded to a question about transgender bathrooms by talking about terrorism in a very authentically Republican move. A nice thought, but I have to imagine it is more confusing to be forced to go to the bathroom with boys if you don’t feel like one. “The fact though is that we want our kids not to have to decide which bathroom they get to go in. And not to be subject to peer pressure about which one to go in. And not to be subject to the embarrassment that could come with going in a bathroom where somebody maybe doesn’t agree that they should be in there or not,” he continued. 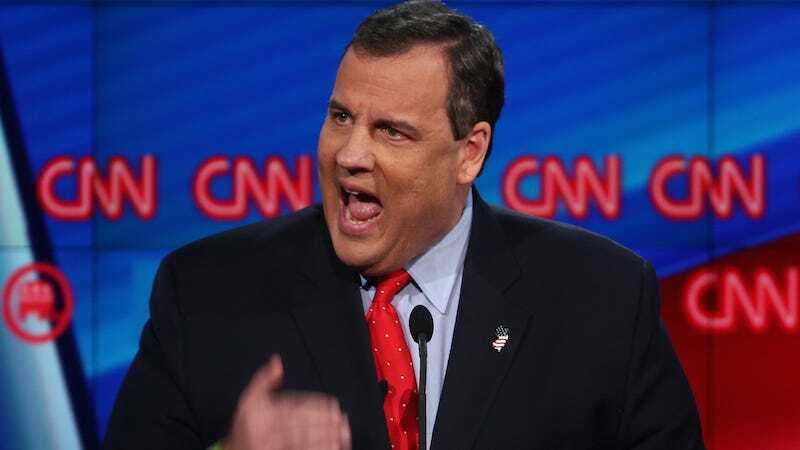 Yes, Christie, we get it, you’re transphobic! You don’t have to say it in so many words!